Last year was quite a good one for horror and thriller movies with Get Out, It and Annabelle: Creation scoring super high numbers at the box office. It can be said that 2017 set quite a bar for movies catering to this genre and with that comes quite a competition for movies anticipated to hit the screens this year. Interestingly, we have got quite a list. These 10 picks might be a living nightmare, for good. Father Burke is sent to Rome to investigate the sudden mysterious death of a nun guess, who she is? Well, that’s our Valac from the Conjuring series! The movie is in the post-production phase and we are yet to see a trailer. A twisted version of Home Alone, parents all over the world are bitten by a rage bug and suddenly running to kill their children. Watch the trailer and go bananas. 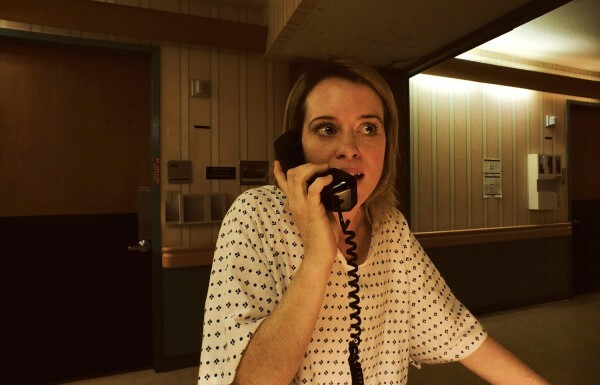 Shot majorly on an iPhone, the movie is a thriller with Claire Foy in a mental institution as she tries to fight her mind and fears, a reality or her delusions, we don’t know! The movie releases this March, 23. A family lives in a post-civilization era, with luxury dinners and board games. Everything is calm and peaceful because there are things outside that would kill them at the slightest of noise. If they hear you, they hunt you. Watch the teaser and do not make a sound. The movie is due this April. The game is always up for a horror script, ain’t it? A group of youngsters plays the game, only this one is a little different. You say the truth or you die. You do the dare, or you die. We dare you to watch the trailer! The X Men universe is set in a horror script, unlike the usual comic book movie. A bunch of new mutants tries to come to terms with their new found abilities as they find out bizarre creepy things about their medical facility. What would happen when science meets horror? Well, wait for April and we would get to know. Also, it happens to be Friday, the 13th! If you have been dedicatedly following The Purge series, the fourth edition would take you to the beginning, the annual night of the murder. The movie hits the screens on July 4. Forget Freddy Krueger, we have a brand new haunting creature, a thin man with long arms without a face, who is responsible for the mysterious disappearance of countless children and teens. Benson and Moorhead star as two brothers who go to investigate a death cult they had escaped ten years before. A powerful story that would leave you in sheer awe, the trailer in itself would keep you on the edge, scared and shivering. You might want to think a little before you sit for this one to happen to you. Capturing brutality in raw form, this one is an extremely disturbing serial killer fiction. The movie spans over a 12-year timeline, taking you through his work of art, his carefully performed murders. Well, which one do you think would top your list? Clearly, 2018 is going to be one terrific year! Images and feature image used in the article are representational images.